No, this is not The Onion. 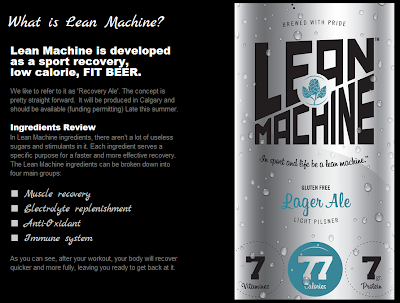 It's "Lean Machine Sport Recovery Beer", and if this product ever makes it to shelves in Canada it will demonstrate well and truly that Health Canada doesn't give a flying you-know-what about what's being marketed and sold to consumers. 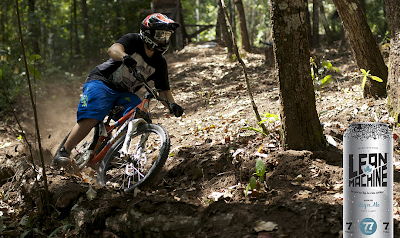 So what is a "sport recovery beer"? It's beer. Beer advertised as healthful. Beer with marketing that suggests it will help you with your "muscle recovery", provide you with "electrolyte replenishment" and "Anti-Oxidants", and support your, "Immune system", and in so doing, "allow your body to recover quicker and more fully". 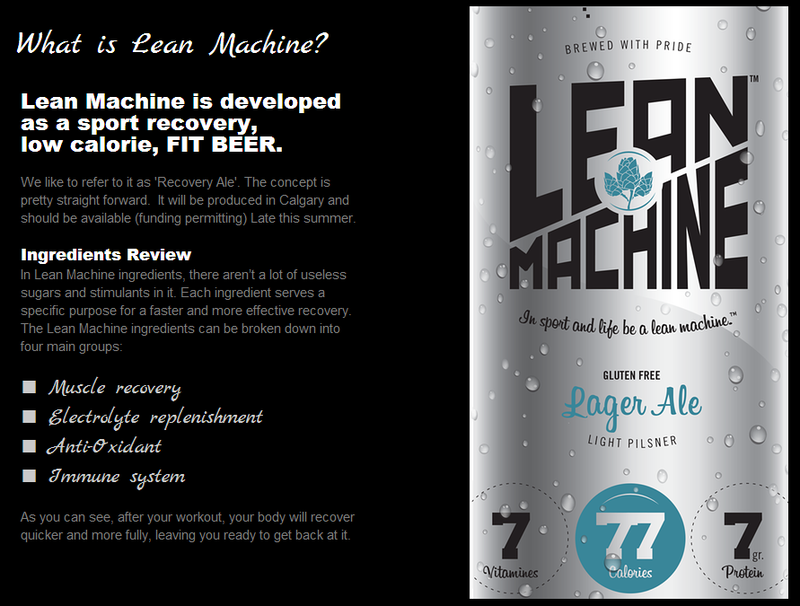 "﻿Lean Machine will be known as a 'FIT BEER' and it will be marketed primarily to the Young Adults, 19-32 years of age. This age group represents the largest consumer of ready to drink beverages. Consumer research has indicated that this target group has a strong desire to purchase and consume quality tasting ready to drink beverages, and if available, they will switch from their current brands." And while I too long for health food beer (and cancer fighting chicken wings, and blood pressure lowering potato chips), I desperately hope that Health Canada, and frankly governments the world over, will ensure that all of the money spent on developing and branding this beer is poured right down the proverbial drain and ban its sale long before it ever starts actively preying on our teens.